Hero Kids is an award-winning fantasy RPG for boys and girls aged from 4-10. 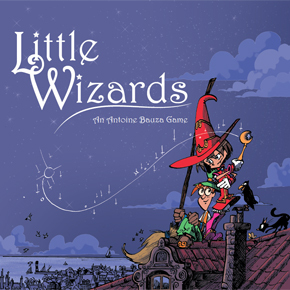 Little Wizards is a storytelling RPG for inventive and inquisitive kids ages 6 to 10, developed to introduce them to the magic of creating their own characters and stepping into a whole new world. It’s simple enough to learn in just a few minutes and engaging enough for older kids and adults to play with their little ones. Packed with advice on gaming with youngsters, this is a perfect introduction for everyone.